The latest Adidas Yeezy Boost 350 V2 dropping this saturday has got everyone hyped up and I’m sure you’d like to cop one for yourself as well. BNB All in One is probably your best shot to grab a pair for the retail price. This post will be constantly updated as new information is acquired. So remember to check back periodically. More websites will be releasing the shoes and instructions will be added before Saturday. We will also be releasing software updates so make sure you’re on the latest version before starting the bot. The bot should automatically check and download updates when you launch it. For footlocker also see below for new method. Start the bot atleast 30 minutes before the drop. The bot will automatically wait for the product countdown so you can even start hours before the launch. Use correct link for respective footsite. During drop you’ll get errors like 500, time out, 503, Quantity invalid etc. All these errors are fine. You just have too keep the bot running. 403 error means your ip address is banned. You will need proxies in that case. Please read up on this. You need proxies if you are running more than one or two tasks to avoid getting banned. If you add to cart but get 403 in checkout, just let the bot run. You may also try to right click in “View Added Products” and open in browser to checkout manually. Footaction will be using new style of drop with captcha on product page. Footlocker should work with both methods/links. Please run half task with this new link and other half with the link in previous section. The bot should automatically bypass captcha. You only have to solve captcha if you see “Invalid Captcha” in log. Still you should setup automatic captcha solve settings like 2Captcha (Use Captcha menu) for good measure. Start the bot atleast 10 minutes before the drop. You will see “sizes not live” message in log as the bot waits for product. 403 error may mean your ip address is banned. Yeezy supply will have captcha in checkout. Start the tasks at least 10 minutes before drop. Kith will captcha in checkout. You can manually solve captcha from the captcha menu. For kith, only solve captcha AFTER the checkout process has started. Look for message in log asking for you to solve captcha. If the keyword match does not work for any reason, grab the link from kith website and enter it instead of keywords. Dsm will captcha in checkout. You can manually solve captcha from the captcha menu. For this, only solve captcha AFTER the checkout process has started. Look for message in log asking for you to solve captcha. If the keyword match does not work for any reason, grab the link from dsm website and enter it instead of keywords. Start the bot at least 10 mintues before drop. You will see 404 error until the product comes live. You will probably have to enter captcha to get pass cloudflare. You can solve manually or use 2captcha. The captcha has to be entered when first starting the bot. 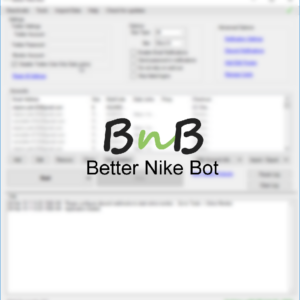 Bot will automatically start atc once you’re through the splash page. Start bot only after splash page is live. I cannot update my bot. My bot crashes on startup. Please uninstall and reinstall in a new folder (this will reset your settings, crash generally happens coz of bad settings). I cannot load the captcha page solve page. 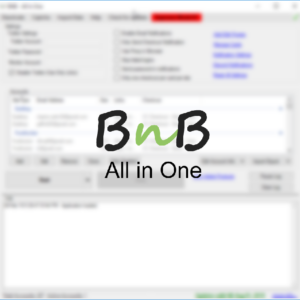 Your antivirus or firewall may block the bnb captcha server.